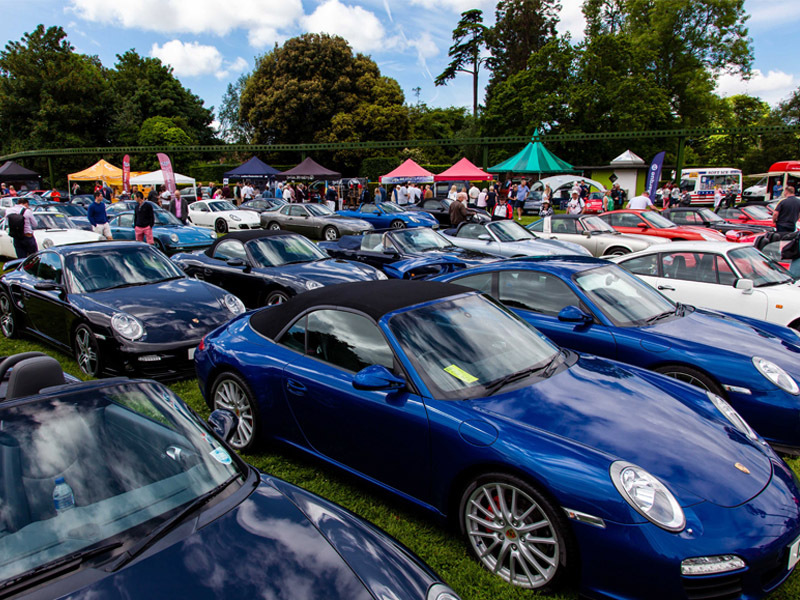 As many as 1,000 Porsches are expected to join Beaulieu’s Simply Porsche on Sunday June 3rd in the grounds of the National Motor Museum for one of the biggest gatherings of the best loved sports cars in the south. Held in association with The Independent Porsche Enthusiasts’ Club (TIPEC), the summer event is sure to follow in the tyre-tracks of last year’s bumper rally which attracted an impressive display of the German sports cars. Porsche owners will relish the opportunity of a scenic drive across the New Forest before parking up at Beaulieu to meet fellow enthusiasts. A selection of stands will offer Porsche-related wares and rally-goers can enjoy a day out with access to all the features of one of the south’s leading visitor attractions. Now in its 6th year, Simply Porsche attracts a wide variety of Porsches of every age and model. The 356 that built the manufacturer’s reputation in the 1950s and 1960s will be joined by the 911 and its modern-day successors, iconic rear-engine models, classic front-engine 944 and 928, plus the latest Cayenne and Macan 4x4s. For those driving Porsches and taking part in the show, participant tickets are £10 an adult and £5 a child (aged 5-16) if bought in advance online, or £12 an adult and £6 a child on the day. All other visitors can buy a general admission Beaulieu ticket. For tickets or more information see www.beaulieu.co.uk/events/simply-porsche/. Tickets to Simply Porsche include entry to all of the Beaulieu attraction, including the National Motor Museum and its collection of more than 250 vehicles, new-look World of Top Gear, On Screen Cars, 13th century Beaulieu Abbey, the Montagu ancestral home of Palace House and its stunning grounds and gardens. Simply Porsche is one of nine Simply rallies at Beaulieu this year. Simply VW will be returning on June 16th as part of a vibrant motoring-themed Father’s Day weekend, while Simply Land Rover on June 24th will also feature the new Simply Rummage, offering sought-after spares for the nation’s favourite 4×4. Rally favourites also returning this year will be Simply Jaguar on July 8th, Simply Japanese on July 29th and Simply Smart on November 11th. For tickets and the full events calendar see www.beaulieu.co.uk/events.